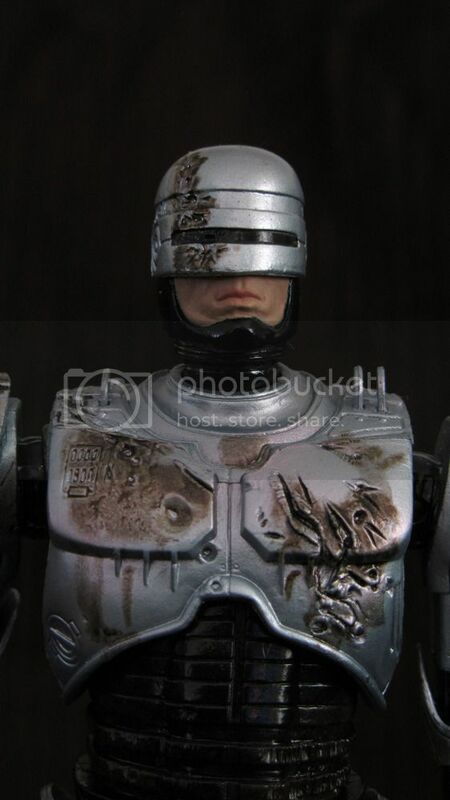 After a slightly longer than planned break, I come back with a newly purchased action figure, the NECA Robocop " Battle Damaged" 7inch Action Figure. 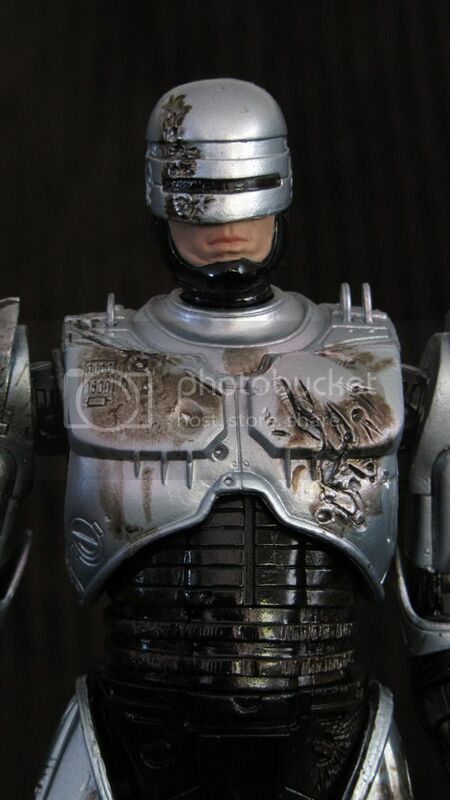 It's a great looking figure that can be slightly marred by a sloppy paint job. 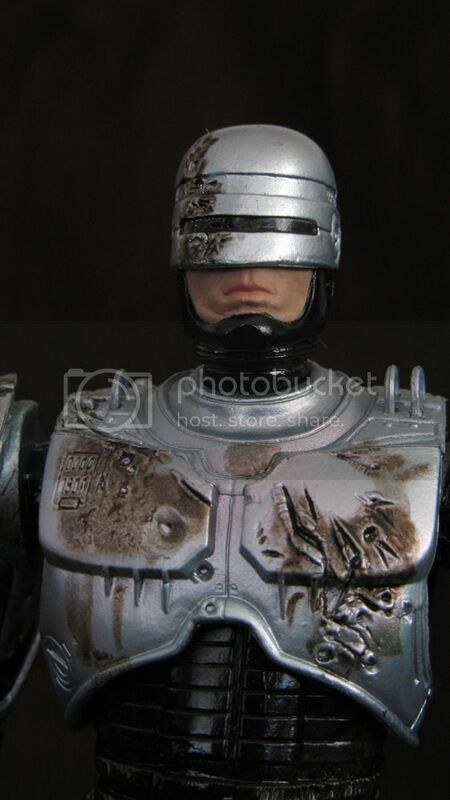 The browns on the damage can look a little too brown, almost making it look like RoboCop rolled around the Detroit city sewers. I looked through a few figures on the shelf, found the best one and I'm pleased to say that it doesn't look as bad as I thought it would. 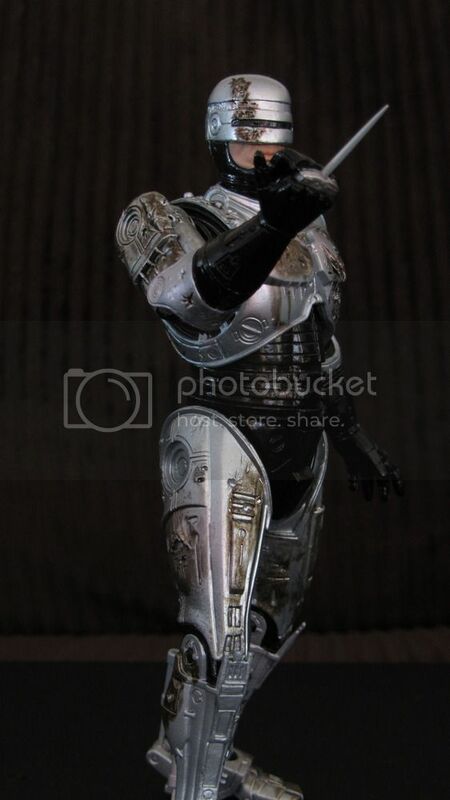 The articulation is acceptable for the figure. 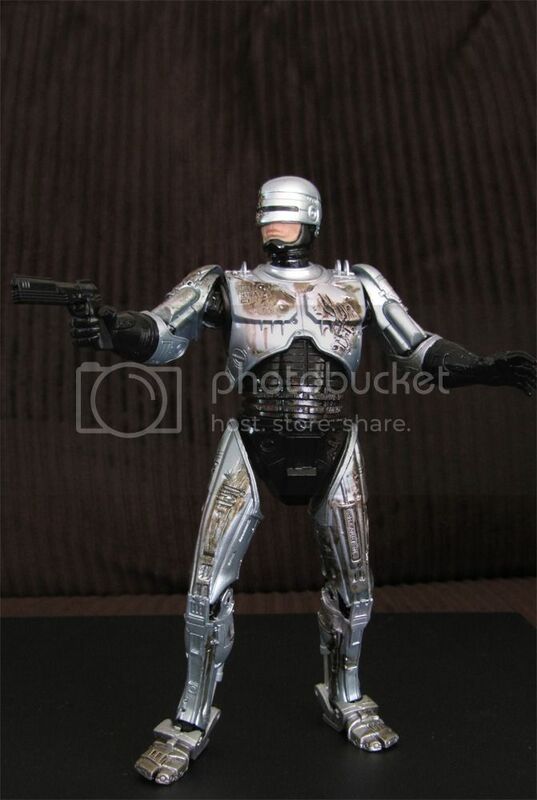 It's definitely not loaded with movement, but you can strike all the classic RoboCop poses. 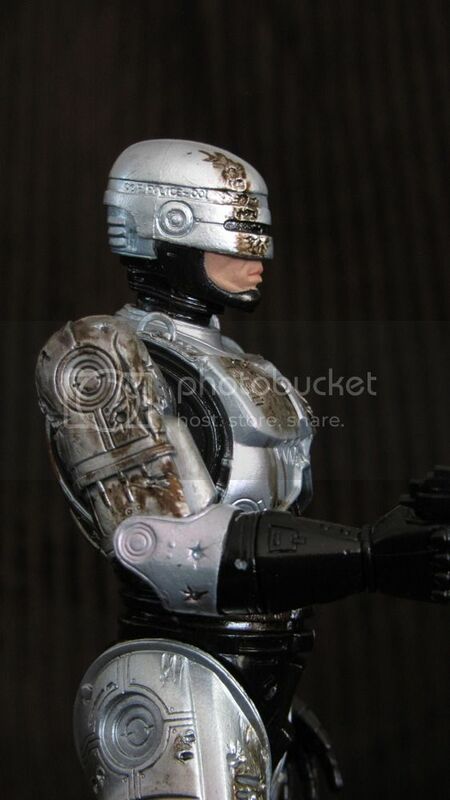 The accessories that come with the figure are the spiked data drive hand, gun and second alternate hand that can hold the gun. 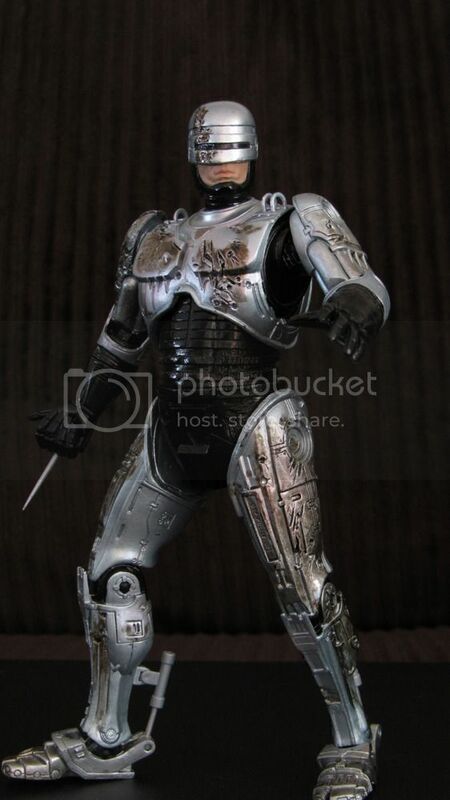 I'm thinking if you're a fan of RoboCop, you'll really enjoy the figure. I recommend you pick up this figure. 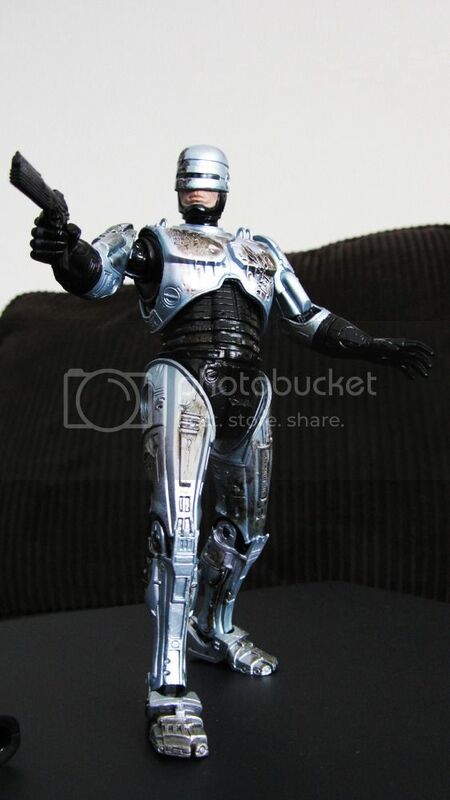 I'm also looking forward to the future release of the RoboCop with spring loaded leg holster. 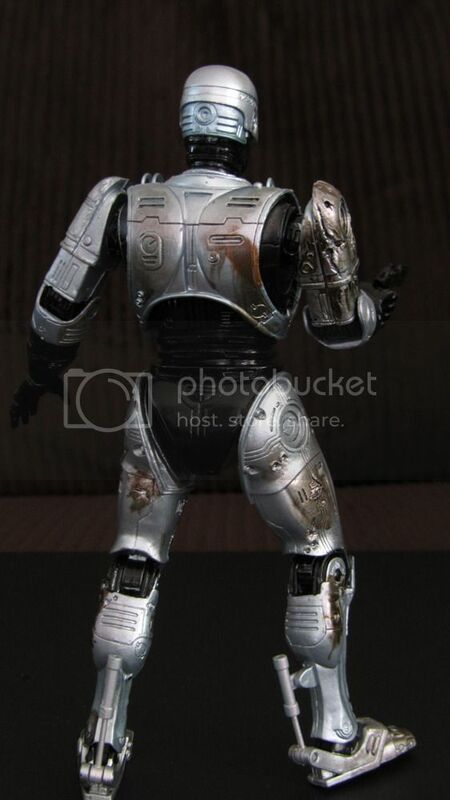 I'm a gamer, movie watcher, book reader, collector of action figures and sometimes on random I'll wander outside. I mostly enjoy horror related items of terror, so you might notice a trend when visiting my two sites: From the Mind of Tatlock and From the Basement of Tatlock.